Part of your relocation to London will be developing a sense of the culture of the city. It may take time to understand the quirkiness and eccentricities of the British people and the way of life, but it is just as important as finding a London apartment or registering for a doctor when you are moving to London. London is a curious mix of traditional English culture and a melting pot of foreign cultures, languages and people. It will certainly make your relocation to London an interesting experience. The point of moving to London, apart from work or family, is to fully engage in the thrill of being at home in a foreign country. Learning about a culture is no substitute for experiencing it. Even if you make a couple of mistakes, you’ll have a much better idea of what it is to be an integral part of one of the most exciting cities on the planet. Americans moving here sometimes struggle with this one. The US has a culture of tipping for service wherever they go, especially in restaurants, and bars. Not so in London. 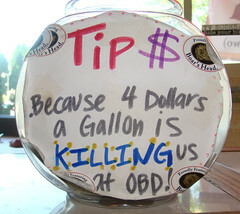 The main reason for the difference is that restaurant workers do not have to work for tips. All people in the service industry work for at least the minimum wage, so they are not reliant on tips to form their income. It is just not the culture to tip in Britain which may be a part of the reason that customer service is considered so bad. If there is no incentive to give excellent service then why should you work for it! That said, I would make a point of complaining if you receive especially bad service, just don’t confuse rudeness with the normal way of talking to people. It can be tricky. Remember that as soon as you have completed your relocation you’re a part of the city, so don’t be quilted into paying a tip just because you’re an American. You’re not a tourist anymore. This is your home now, and if someone tries it on with you; you can tell them exactly where to get off!